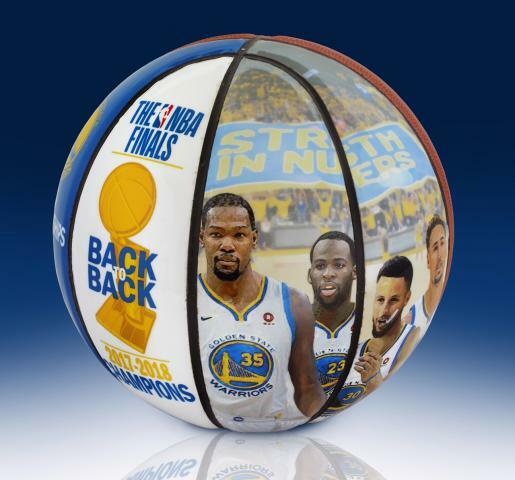 This is an EXCLUSIVE basketball you won't find anywhere else! 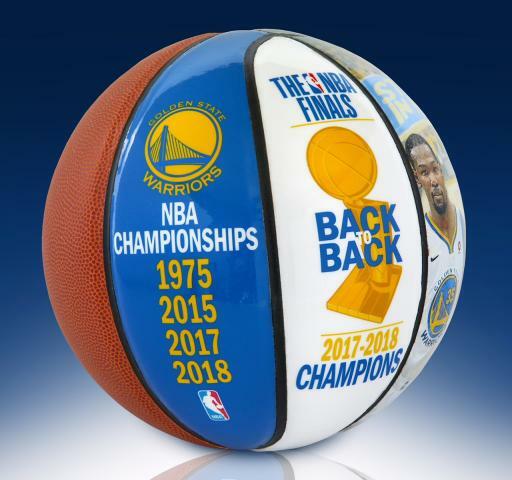 Created especially for Warriors fans to honor the team's 2018 NBA Championship - every fan will want one of these collectible basketballs for their home or office. 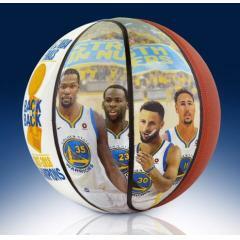 The exclusive Warriors 2018 NBA Champions Commemorative Art Ball features the reproduced work of Bay Area native and noted artist Jolene Jessie on a size 4 basketball. 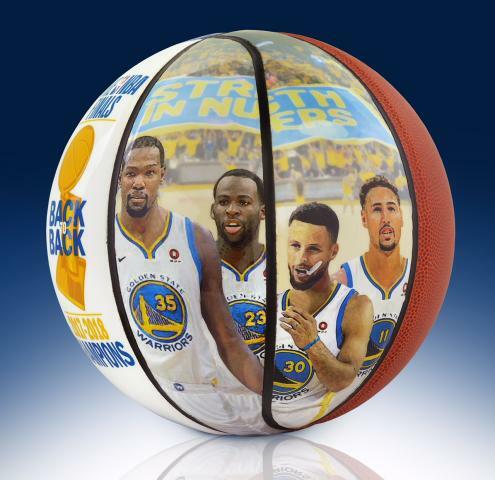 This special piece was created just for the occasion of the Warriors back to back NBA Championships! You will not find this ball anywhere else! Order yours before they are gone. Each ball comes with a numbered certificate of authenticity. The Art Basketball is a size 4 basketball which is slightly smaller than a regulation NBA basketball. Due to the unique nature of this offer we must charge your credit card for the full price immediately upon taking your order to ensure we reserve a ball for you. We will confirm your order by Email. This ball is not game used. Please allow 4 to 6 weeks for delivery. This ball is fully licensed.